Rain Check showcases exceptional products, services, accommodation ideas and travel offers from selected merchants from all around the World. Offers are available to everyone from all parts of the World. Merchants, travel operators, service providers and product suppliers work with the team at 'My Rain Check' to showcase their businesses. They offer existing customer only special promotions and other offers that are open to everyone. 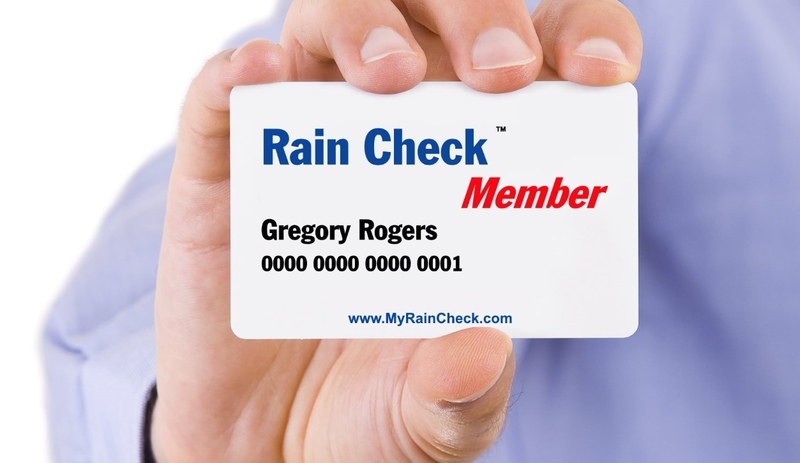 Many products can be bought right here at MyRainCheck.com and the products or services are delivered by our business partners direct to buyers. Visit us often to see the exciting offers and promotions from our global advertisers. Membership is not essential. When you find something that you like go ahead and buy it with no fuss. We hold the Trade Mark in Australia for the term "Rain Check" for the promotion of businesses. Here at RainChecks.co we create special offer campaigns for travel, service and retail businesses. We create product and service showcases on MyRainCheck.com for and on behalf of businesses to firstly generate new business by offering "something for later" for people who visit a physical business or its website. In addition, for people who actually buy or use a business' products or services, we offer additional rewards in the form of Rain Checks. MyRainCheck.com handles the transactions and only retains a low commission of 2.90% of the value of the transaction plus $.50 cents as a contribution to our operating costs. That is... if we sell a product that is valued at $100.00 for you, we will only retain $3.40 and remit the balance of $96.60 to you the same day. At Rain Checks we can the low cost marketing extension of your shop, travel, experience or service business 24/7.